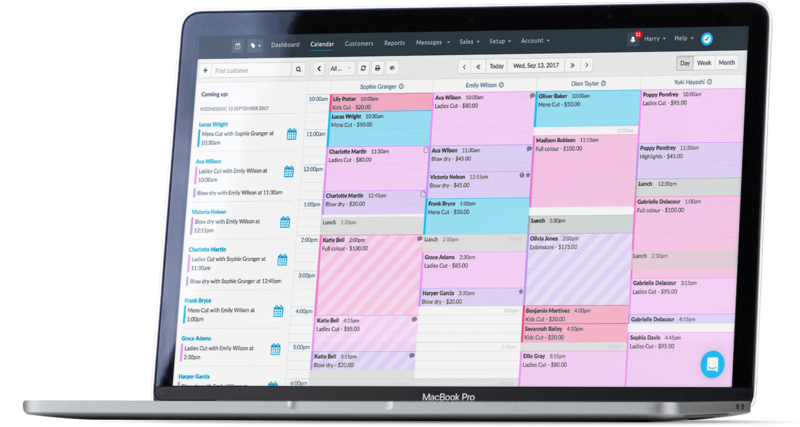 All the important info you need to know about your clients sits right next to your calendar. 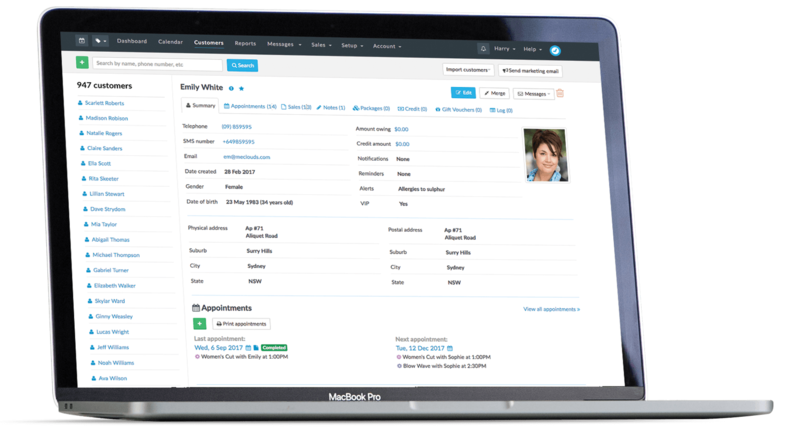 View previous and future appointments, invoices, notes, and more. You do stuff here, too! 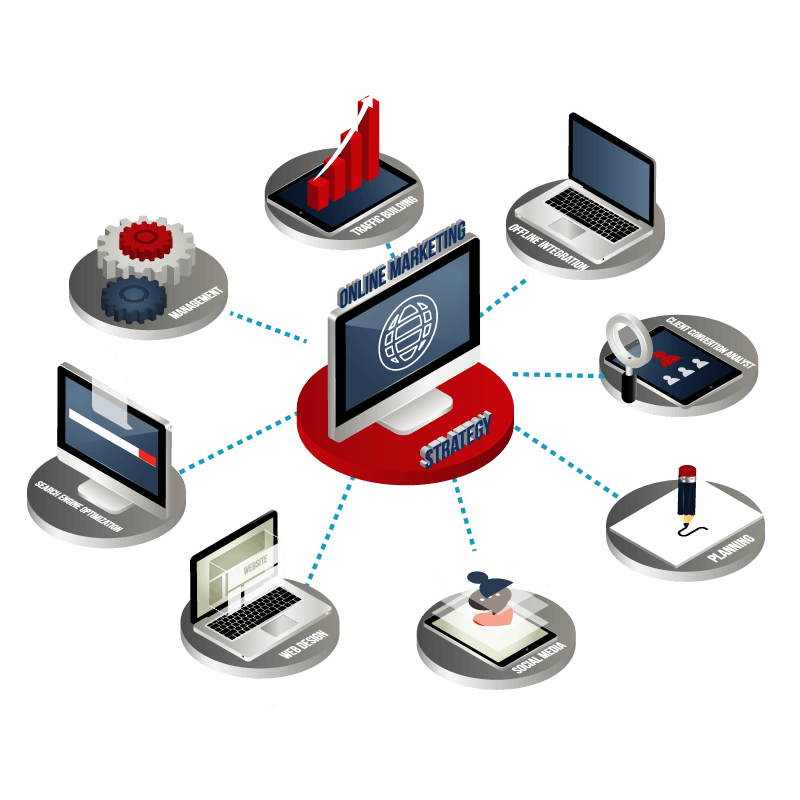 Rebook them, sell them products, or get in touch with them. To get a handle on your customer’s purchasing habits, check out their Product or Appointment sales report. That makes it easier to ask how they’re getting on with a product, or suggest a new one. Timely is easy to add to your website and it looks great. Create buttons that are specific to a staff member, location, or service. 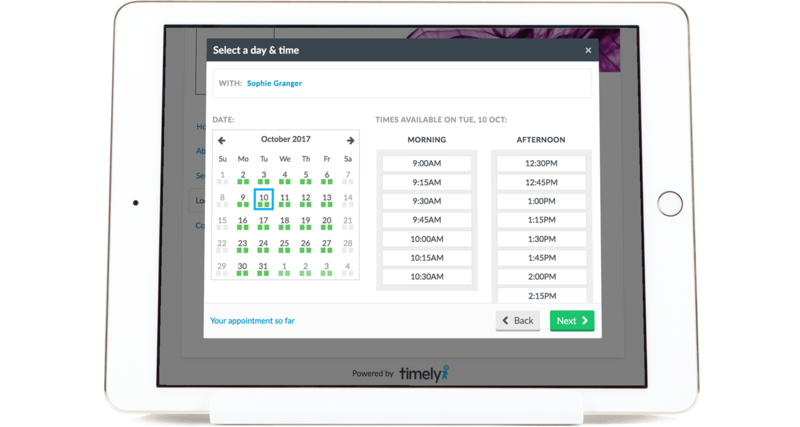 Timely’s online booking works great with WordPress, SquareSpace, Weebly, and Rocketspark. The Timely Facebook app works seamlessly with your business page, allowing customers to book through your Facebook profile. Or simply share an online booking link on any page, post or status! Take payment for appointments, sell products, up-sell services and rebook clients. Apply discounts, pay for multiple appointments or send the client a copy of the invoice. 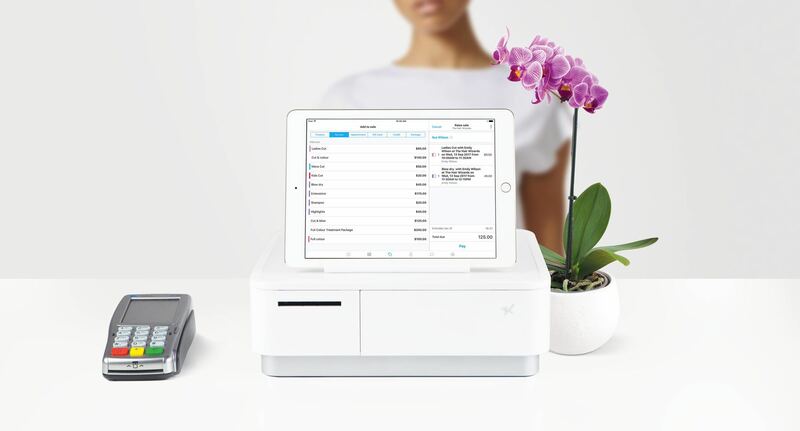 Integrate Timely’s point of sale with your cash drawer and receipt printer for a smooth and professional payment experience for your clients. There’s a range of hardware options to choose from.